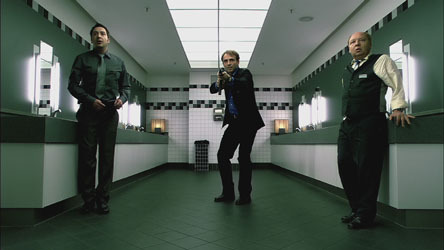 Synopsis: Three employees of a large bank find themselves in the men’s room during a robbery. There are no windows, nor lockable doors, and none of them has a cell phone. None of them fully comprehends what is happening in the bank’s teller area and they completely disagree about what they should do. They just know that the robbers could find them any second. 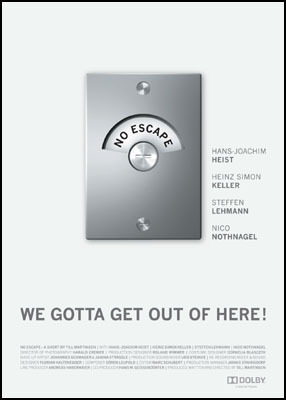 Just before the disagreement among the three escalates, one of the bank robbers enters the room. Impulsively, the three capture him. Now, the three bank employees have a gun and are holding the robber hostage.